The distinction between “the Internet” and “books” is arbitrary, and will disappear in 5 years. Start adjusting now. In the words of John McEnroe, you cannot be serious. Haven’t we all just staggered over to the ebook reality, gotten down with our digital selves, and tried to ease away from those visions of dustcovers dancing at our launch parties? And now Hugh McGuire is here to tell us ebooks aren’t going to make it, either? Well, yeah, in a way. Despite what may seem like odd timing. After all, we know that eBook Revenues Topped Hardcover in the first quarter, per the Association of American Publishers, as Jason Boog at GalleyCat has dutifully reported. It sounds like ebooks have taken over, stand well back, and anybody saying otherwise is just…talking TEDx-y. That’s where McGuire said it. 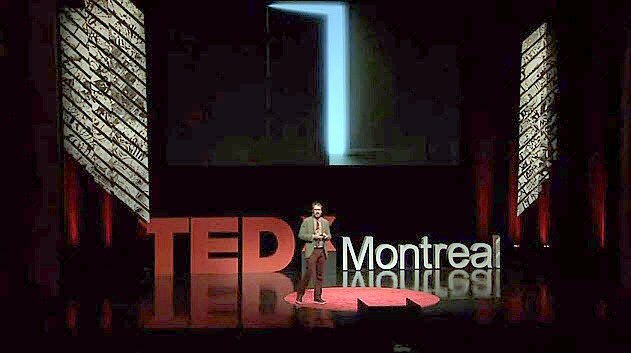 TEDx Montreal. There’s a very big distinction that people make, that certain kinds of words and sentences go into books…and other kinds of words and sentences go into the Internet. 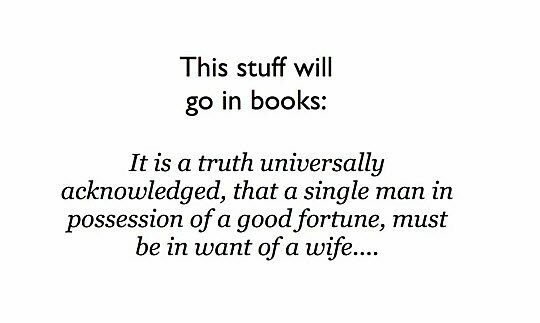 Books are researched, written, edited, published, marketed…and hence paid for. 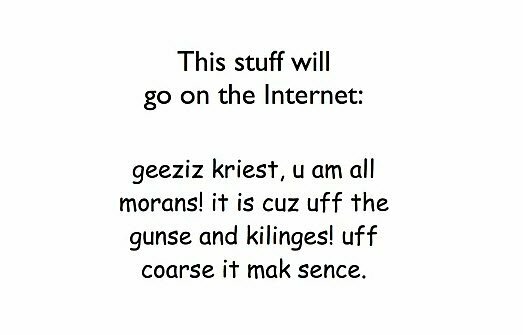 The Internet is ego noise, hence free. McGuire, of course, is someone we know. He’s the creator not only of the PressBooks production tool, which “makes it easy for authors and editorial teams to generate clean, well-formatted books in multiple outputs,” but also of several approaches to audiobooks. Something of a serial startup guy. He co-edited with Brian O’Leary the seminal Book: A Futurist’s Manifesto, which has enough meaningful, thought-provoking essays in it to keep you muttering to yourself from the tiki bar back to the pool for the rest of the summer. Have a look if you haven’t seen its free online version. It’s worth asking why it is that — given that Project Gutenberg has been around since the earliest days of the Internet — we haven’t seen a large embrace of reading on screens until very recently. Why is there a widely perceived assumption that more important work goes into books? Why are only “ego noise” and other less worthy writings considered right for the Net? Despite the burgeoning expansion of ebooks, however — and their emblematic status as the icon of the digital revolution — McGuire points out that ebooks are a lot more similar to web sites than they are to traditional books. Publishers are deathly afraid of the Internet. And they have very good reason to be, because the Internet is famous for gobbling up business models and spitting out total chaos. It’s a problem because in order to get this similarity with the past, we’ve ended up constraining ebooks and making them look a lot more like print books and a lot less like the Internet. You can’t link to a canonical version of an ebook. You can’t link to a specific chapter or a specific page. You usually can’t copy and paste. You can’t even leave a comment in a central place. And, as we know, there are louder and louder comments to the effect that book apps aren’t making as much sense as we thought they would because they’re expensive, closed systems by comparison to HTML5. So this poses a question to all of you as readers: Would you have more value if books were available in print and ebooks and a web version, or if you just had print and ebooks? It’s clear what McGuire’s choice is. He offers a couple of strong examples of deeply interactive projects. One is the YouVersion interactive Bible site. Another is one he describes as an extensively structured online rendering of the 1912 journal of Robert Scott’s expedition to the South Pole, “a beautiful web experience,” each element of the journey tied to Google Maps. What you won’t get from this 13-minute talk is the answer. And that’s the reason to watch this video. That’s the point we all need to get now: there is no answer. It’s human nature to think the publishing industry’s upheaval is deadheading us into a stable, static, dependable solution to all the business’ confusions and upheavals. Surely this will calm down eventually. Maybe not today, maybe not tomorrow, but soon and for the rest of your life. Right? The book is often assumed to be the most authoritative and important medium, but that’s only because we’ve all been led to believe that (through a culture that has created The Myth about the author as authority). It’s a Myth, neither good nor bad. Just a belief system that, increasingly, we’re all moving away from. The new norm may be no norm. And for those already exhausted, already reeling from change and surprise and so much confusion and contradiction, the message is all the more important. Look for some peace with this. “Start adjusting now,” as McGuire puts it. Because holding out for a final answer, Regis, might be the worst mistake you could make. The important thing is that we don’t know. We don’t know because the Internet is this wide-open place where amazing things happen when we start to put data on it. We never really could have imagined what email did to mail, what Twitter did to conversation. The future of what we do, once we start to put books into this connected/network world is totally open, and that’s a very exciting thing for people who love books and who love the web. Join us Thursdays at JaneFriedman.com for Writing on the Ether, presented by Ether sponsor Will Entrekin and his Exciting Press book, The Prodigal Hour.